I was at Dollar Tree recently and came across these giant felt skulls in the Halloween section. Hello, can you say "reverse stencil?" 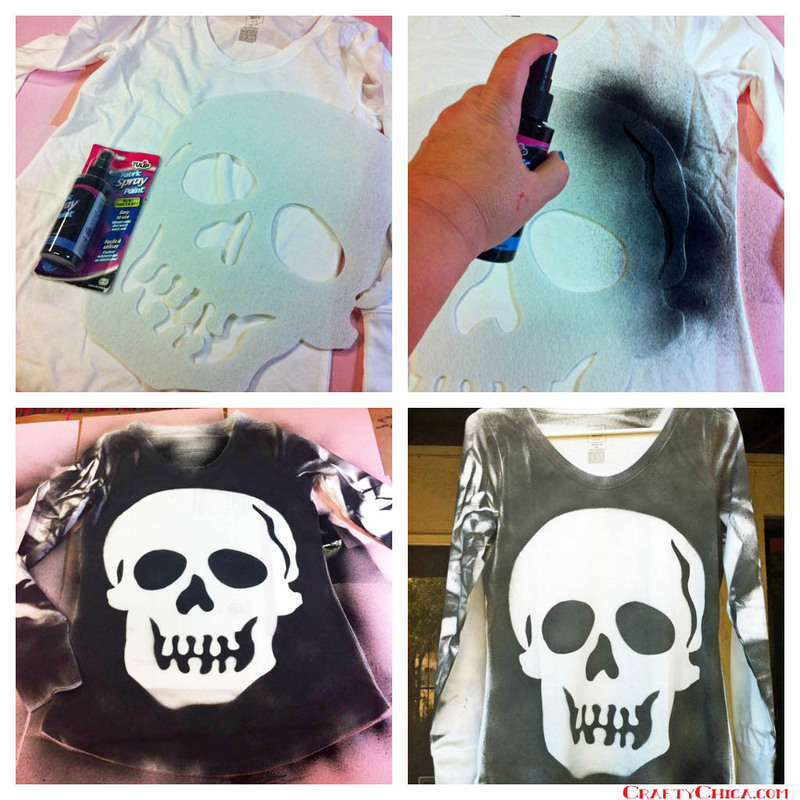 All you need is the felt skull (if you can't find one, cut your own on a large piece of watercolor paper), a white shirt, Tulip Fabric Spray in black and a piece of cardboard to go inside the shirt while you spray. Spray on top. Scrunch the arms and spray them too. Remove stencil, let set for a few hours. Wash in cold water. Hang dry. 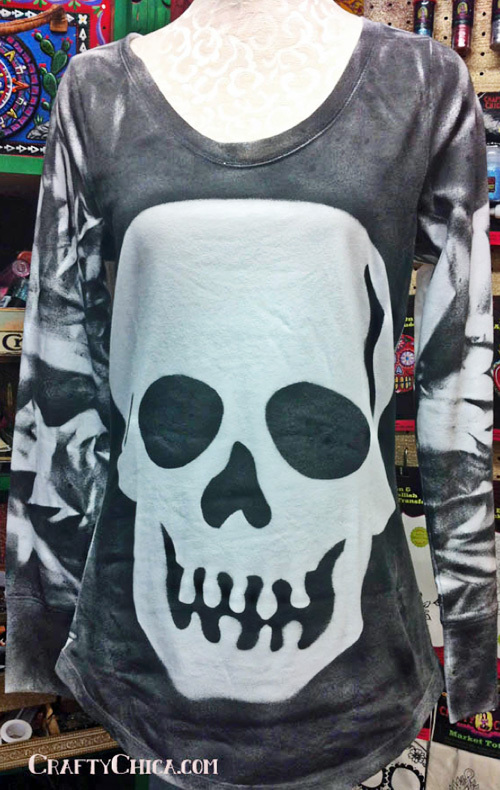 - Use on a patterned shirt, or spray different colors before you spray the black. Decorate the skull with other colors of paints! Heck, throw on some glitter spray too!